Jeff and Jamie Rhoads opened their fourth Your Pie restaurant in Virginia. The one in Greenbrier joins locations in Virginia Beach, Norfolk, and Gloucester. The owners of a new pizza restaurant in Chesapeake decided to give back before the store's grand opening. 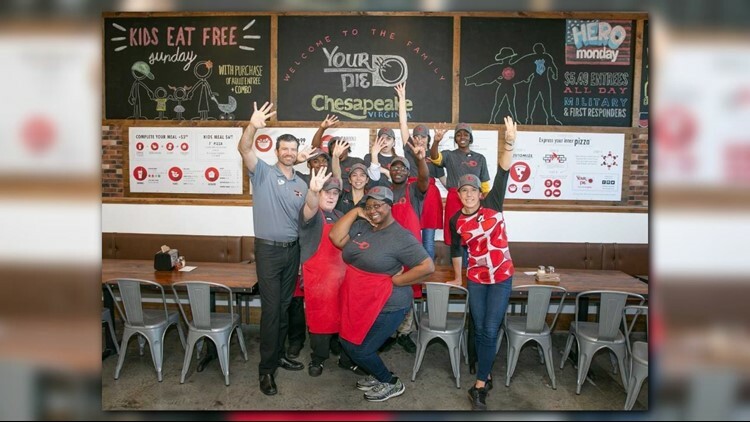 CHESAPEAKE, Va. (WVEC) — Your Pie Greenbrier opened on November 16, but leading up to their grand opening they decided to give back. The-build-your own-pizza restaurant hosted a 'Dine & Donate' Nov. 12 through Nov. 14. The restaurant served up to 400 free pizzas a day to registered guests in exchange for a monetary donation for Chesapeake Public Schools. The funds donated were allocated to School Nutrition Services and applied to negative charge balances for students across the system. The owners, Jeff and Jamie Rhoads, were able to donate $2421.34 after the three-day event. 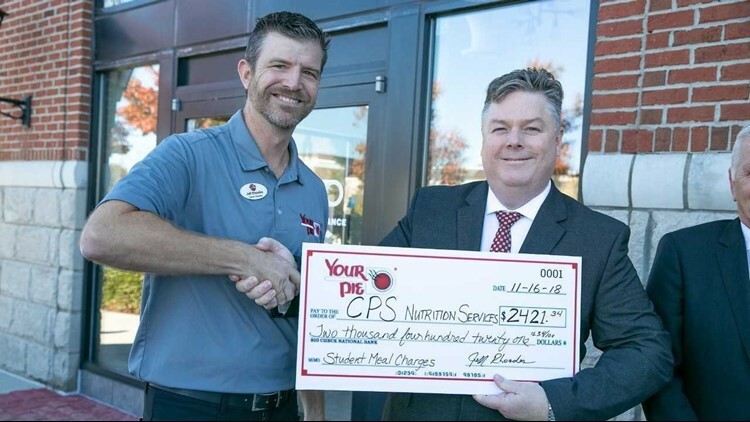 Jeff Rhoads, one of the owners of Your Pie Greenbrier, presented the check to Dr. Jared Cotton, superintendent of the Chesapeake Public School System. The Jeff and Jamie also own three of the other four Your Pie locations in Virginia. "We’re excited for the opportunity to share the Your Pie experience with Chesapeake and the surrounding communities,” said Jamie. “For us, it’s about more than serving great pizza; we want each of our stores to become truly integrated into the fabric of the local community." "We’re highly involved with schools, nonprofits and other organizations at each of our stores, and we look forward to extending that same level of community involvement to Chesapeake," explained Jamie. Your Pie Greenbrier is located in Towne Place at Greenbrier at 733 Eden Way N., Ste 400. Other Your Pie locations can be found in Norfolk, Virginia Beach, and Gloucester.